Aeroflot has for the fourth time been named Best Airline in Eastern Europe at the Skytrax World Airline Awards 2015. Russia’s carrier Aeroflot has for the 4th time been named Best Airline in Eastern Europe at the Skytrax World Airline Awards 2015. This prestigious recognition is bestowed annually on the best airlines in the world by Skytrax, a British firm renowned across the global airline industry for its customer service ratings. The 2015 World Airline Award Ceremony took place on June 16 at the Paris Air Show. Aeroflot was named the Best Airline in Eastern Europe for the 3rd year in a row and the 4th time in its history. Known as the «Oscars of Aviation», Skytrax’s World Airline Awards have been granted every year since 1999 on the basis of the world’s most comprehensive passenger satisfaction surveys. The poll covers more than 160 countries and involves up to 20 million participants. More than 240 airlines — including about a dozen from Russia — competed across a range of categories. "Winning the award for Best East European Airline for the 4th time is momentous for Aeroflot," said Vitaly Saveliev, Chief Executive Officer of Aeroflot. "To be a repeated Skytrax winner is a great honour. Aeroflot’s sole aim is to become better, more efficient, more creative — and to offer our customers a world-class level of service. We are determined to achieve new victories, more recognition, including boosting our service offering". Aeroflot is one of the largest airline groups in Europe. 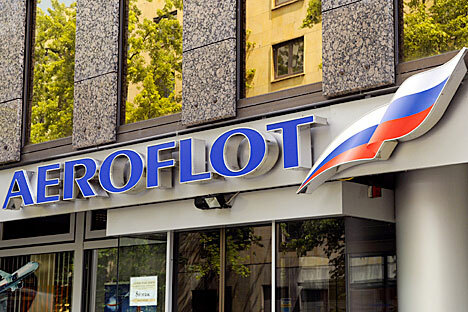 In 2014, Aeroflot carried 23.6 million passengers (34.7 million passengers as Aeroflot Group including subsidiaries), a record for any Russian airline. A proud member of the SkyTeam global airline alliance, Aeroflot and its partners serve 1,052 destinations in 177 countries worldwide.